Now Second Edition from 2017! 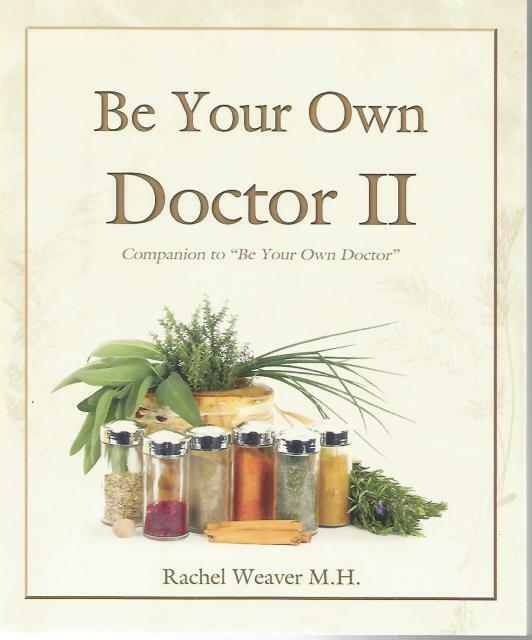 "Be Your Own Doctor, Book II" is an overflow of information that was not included in her first book. It is full of practical, common sense information "Be Your Own Doctor Book II" is the book you need to aid you in taking responsibility for your own health. For over 30 years this Mother of nine has had many opportunities to use the remedies she recommends in her book. She has helped many families toward better health using natural remedies in place of doctor visits. Her interest in helping others began when, as a midwife, her friends began calling her for answers to their families' health needs. These calls grew in volume until she was helping others across the US and Canada by phone and email. In an attempt to put this valuable information into the hands of others and preserve it for her children, she wrote yet another book, companion to the first one, "Be Your Own Doctor". Written in a way that will help you remember what to do when you have an emergency. It should save your family many doctor's visits if you put the information to practice. This book is not New Age in content. The author does not use questionable practices and recommends common herbs and simple remedies like charcoal to help your body do its job of healing. Be Your Own Doctor Book II covers issues like diabetes, high blood pressure and how to find information to deal with cancer naturally. Get Rachel Weaver's other publications from Keller Books: 1. Be Your Own Doctor Vol. I- A Book on Health Care for the Whole Family; 2. Backyard Pharmacy- Recognize and use Plants around you for Healing; 3. Be Your Child's Pediatrician- Care for your Child's illnesses using herbs and natural remedies. Author Name: Rachel Weaver, M.H.